TRUCKBOSS TRUCK DECKS — FROM UPTOWN TO DOWNTOWN AND EVERYWHERE IN BETWEEN. 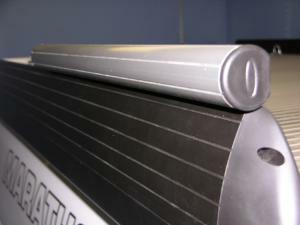 TRUCKBOSS provides a VAULT-LIKE cover that is stronger than vinyl, plastic, fibreglass, diamond plate, or aluminum slats. 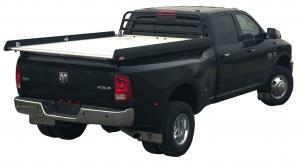 TRUCKBOSS employs double-walled aluminum extrusion throughout, providing the strongest and toughest cover available. TRUCKBOSS relies on Capture Channel Technology enabling adjustment to fit any full-sized truck and allow for the addition of accessories. 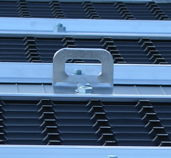 Capture Channel Technology allows a carriage head bolt to be positioned anywhere on the deck surface, deck sides, cab guard or underneath the deck giving you unlimited options for accessories or tie-downs. 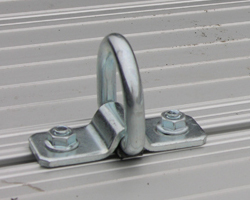 Four RAIL CLAMPS hold down a 4.5” tall Longitudinal Support Beam that runs the length of EACH side of the truck’s bed rails. 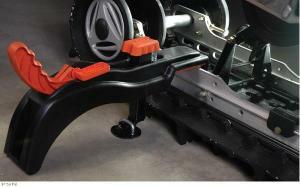 Unlike the wimpy “J” clamps employed by other covers our RAIL CLAMPS ARE 5” long and each fastened with three 3/8” bolts. 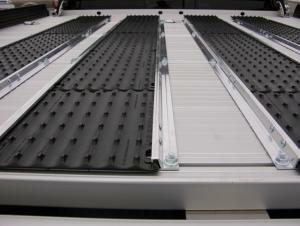 The Longitudinal Support Beam provides a base for the TRUCKBOSS deck surface, which is installed in 5 modules. 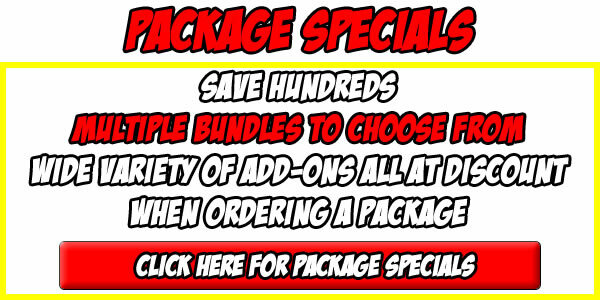 These modules comprise 24 Lateral Support Members, 5X more than anything else on the market. 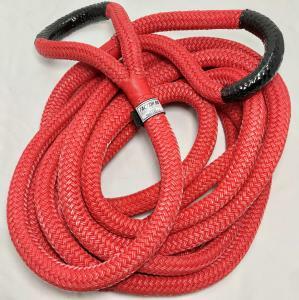 Extendible sides are inserted into the deck surface—an industry leading 15 Support Arms provide the ability to adjust the deck surface from 6’ to 8.5’ (max) wide. 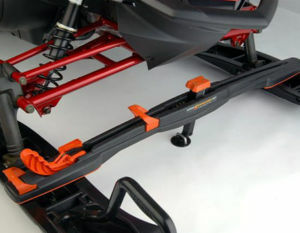 A Cab-Guard, Ramp-Bar, and Telescopic Ramp complete the system—enabling you to haul two snowmobiles, two ATVs, three street bikes, four dirt bikes or a full sized UTV. TRUCK BOSS DECKS are available in 7’ (TRUCKBOSS-STD-7) or 8’ (TRUCKBOSS-LONG-8). TRUCKBOSS decks are not model specific. TRUCKBOSS-STD-7 will fit any standard box full size truck and TRUCKBOSS-LONG-8 will fit any standard or long box full size truck. 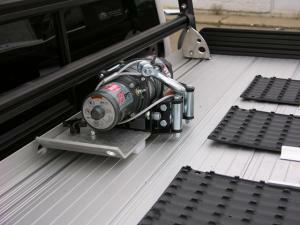 All TRUCKBOSS decks are easily transferable from one truck model to another. 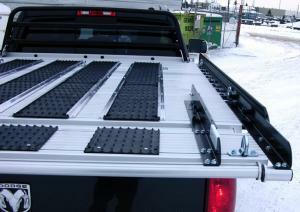 TRUCKBOSS TRUCK DECKS are available in 3 configurations: BASE, STANDARD, and SNOWMOBILE.